What happens when Splatoon 2 has a one night stand with futuristic PlayStation racer WipEout? 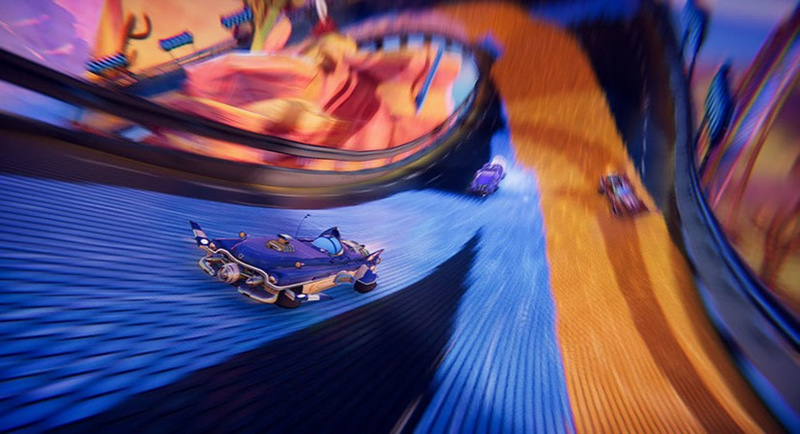 Well, you'd probably end up with something remarkably close to Trailblazers, a new colourful racer that looks to combine a track-painting mechanic and a key focus on co-operative racing. Sounds intriguing right? It comes from indie developer SuperGonk Games, which has plenty of talent on its books, including devs from now-defunct Fable studio Lionhead as well as the now-shuttered Bizarre Creations and Codemasters. Codies has become one of the most experienced racing-focused studios in the world, and Bizarre Creations brought us the Project Gotham Racing series so when it comes to racing game experience, SuperGonk has it bucketloads. The aim of the game is team up and paint each track with your team's colour - gliding over your own colour enables you to boost and speed round the track faster so there's a real benefit to working as a team to use colour slipstreams to take that chequered flag in a speedy one-two. Tracks are generated dynamically so no two races are the same, and you can also play online against up to six other players (including via split-screen) or locally with up to three other racers. Sounds really interesting. Hopefully the gameplay is just as good. They day I am not excited about a AG racing game is the day you can call me retired. Nice idea. Looks like you can paint over the top, though. Would that mean that you can win simply by holding back and painting over everyone else’s tracks?? Looks fun. I'm keeping my eyes on this. Pretty neat, I could give it a go! Love the aesthetics in this game, with the anti-grav cars looking like classic American cars. Hope to see a review and/or Let's Play of this soon, to find out if it's actually as good as this first impression makes it out to be. This looks great. I just wish games like this had create-a-car options. I miss lego racer from the N64. So now we finally have the Splatoon racing crossover? Superb, love games like this and coming before the end of March too. With the talent behind it I have no doubt it's going to be great. Sounds great! Also been waiting for Fast RMX to go on sale. I was not expecting the game to look as good as it does when I clicked on the video, it is safe to say I have my eye on this one! Though I'm not a fan of random generated levels generally. They lack the artistry of game made levels, and the uniqueness. Looks really clever. The cars have a Stunt Racer 64 vibe to them and the environments look great. And this WILL be released before RedOut, lol. 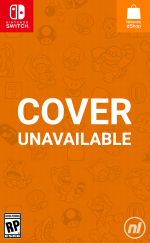 Also, thanks to Shiryu for getting confirmation of the Switch release! @cyrus_zuo - Depends on how they approach it. Could be modular similar to the ExciteBike track in Mario Kart 8. Where the structure and direction remains more or less the same, but how it's done is different each run. Man I hope this turns out well. Looks like a great new racing game for parties. This looks...actually, this looks kind of neat. I'll be keeping an eye on it. But Dynamic Tracks? The track change every race? I do not think I would like that. Maybe I am misunderstanding. Giving me Crush Roller flashbacks for some reason, even though the games are completely different. Wow, looks really fun, actually. @Jayenkai - Watching the video a couple times, noticed it shows the lead being "spotty" with the color. Suggests it comes with a tank, so you might have to decide what you want to do. Throw it out in front to attempt for a boost or toss it to the side and those behind may have to decide to go and cover it or chase for first. Hopefully adding that "s" at the end doesn't lead them to a lawsuit. I love everything about this except the name. ...I so want this game.